I’ve been living in Edinburgh for several months now, so it’s safe to say I know my way around Scotland’s capital city. 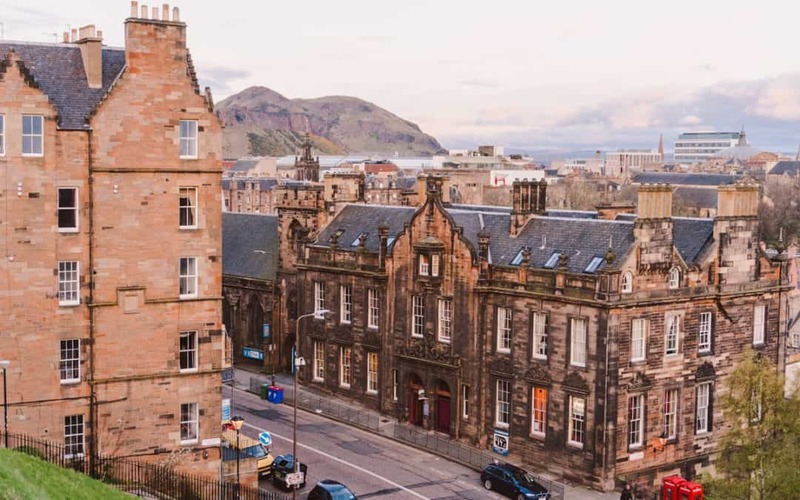 Edinburgh also happens to be my favourite city in Scotland- and I have had a lot of fun exploring the cobble stone streets, admiring the baronial style buildings and tasting the many whiskys on offer. There is so much to do here, that it can often seem overwhelming for those visiting. So instead of rattling off my entire Edinburgh itinerary several times a week, I’ve decided to share my top recommendations. 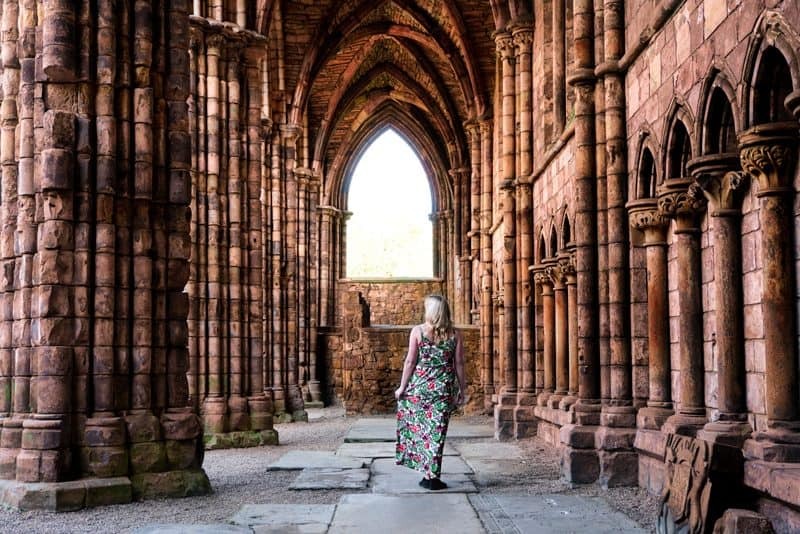 It doesn’t matter if you’ve got one day in Edinburgh or several, just pick and choose the activities that appeal the most to you. The castle was built on an extinct volcano and people have inhabited the rock since the Iron Age. St Margaret’s Chapel, inside the castle, is oldest surviving building in Scotland. It was built by David I in the 12th century who dedicated it to his pious mother. The story of David I’s parents, Malcolm III and St Margaret is one of my favourites. After Malcolm III was killed during battle, his wife was so overcome with grief she died a few days later. 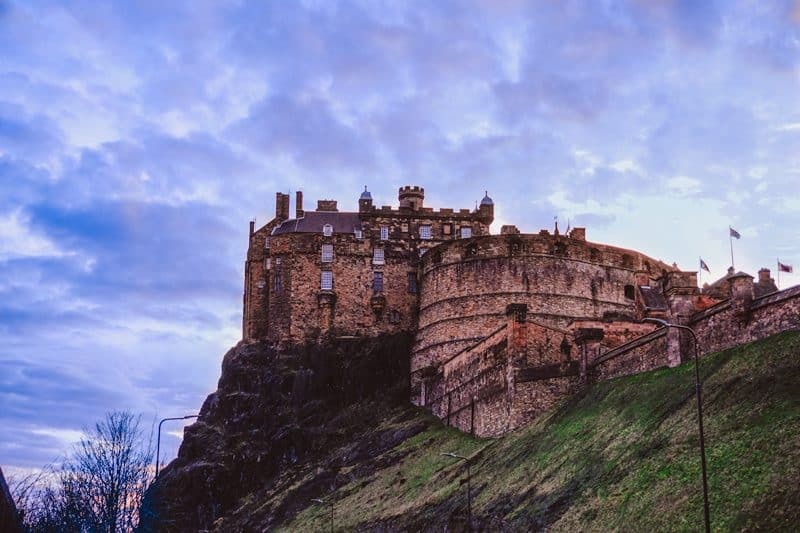 During the 13th and 14th centuries (the time of the Scottish Wars of Independence), the castle changed hands between Scotland and England several times. Edinburgh Castle was a royal residence from the 12th century up until the reign of Charles I. The castle now houses the Scottish crown jewels. Mary, Queen of Scots gave birth to King James VI and I of England at the castle. Witches were burnt at the stake in the esplanade outside the castle walls. 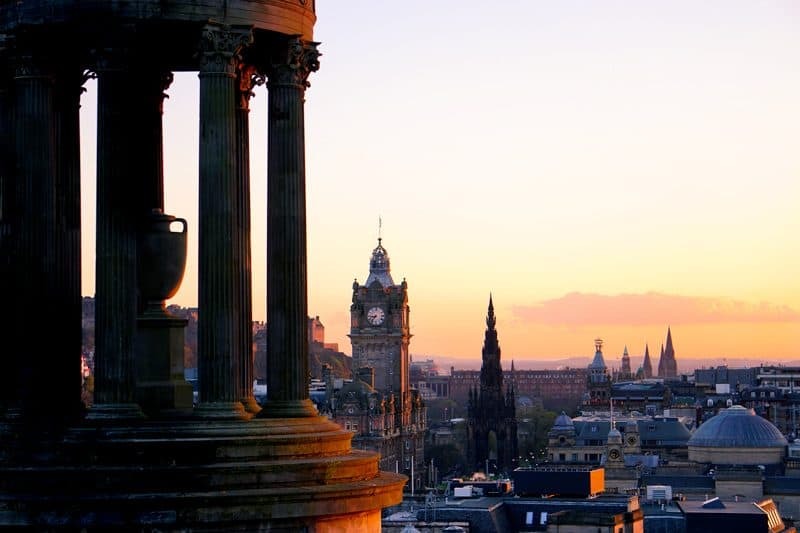 The stunning cityscapes you see on postcards and promotional material for Edinburgh are often taken from Calton Hill. 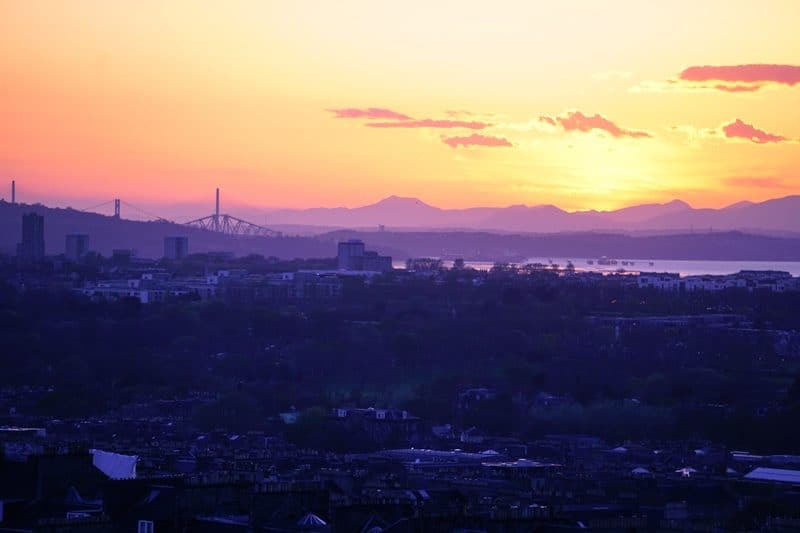 It’s a super easy walk 20-minute walk from Old Town to the top of Calton Hill, and makes for a great alternative to hiking up Arthur’s Seat if you are wanting good views of the city. It is also a fantastic place to watch the sunset. Don’t forget your camera! I like authentic experiences; experiences that really get into the heart and soul of a country. 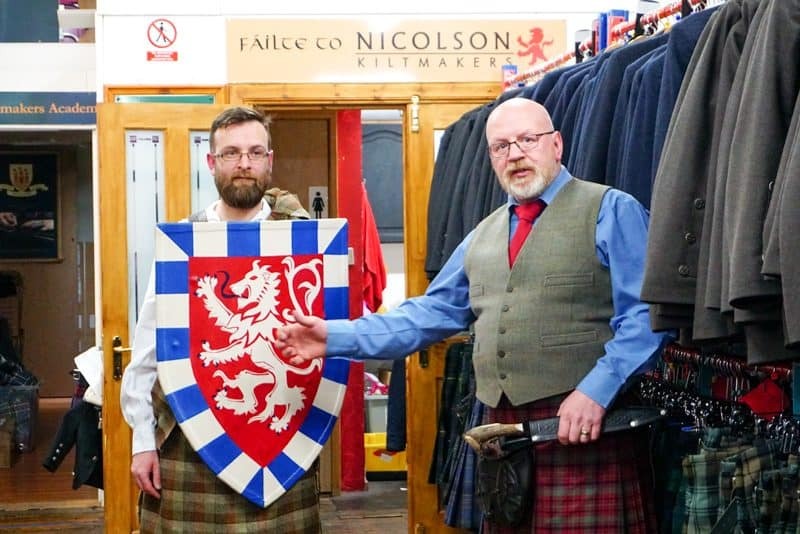 This is why I recommend going on the Scottish Heritage Experience, run by Inspired By Scotland. During the course of the evening you have the option to taste three drams hand selected by a whisky specialist (what a job title!). This is a very cool experience and something intimate and a little different than your standard walking or bus tour. 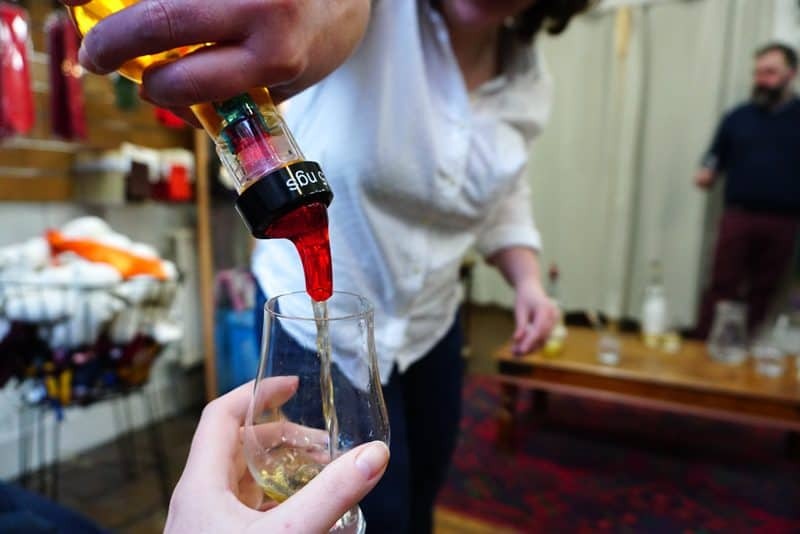 Cost: £45 per person (£15 additional for whisky tasting). Holyrood Palace is situated at the lower end of the Royal Mile and has a rich history. I explored the Palace of Holyrood with friend and fellow travel writer, Corina Kreeft. 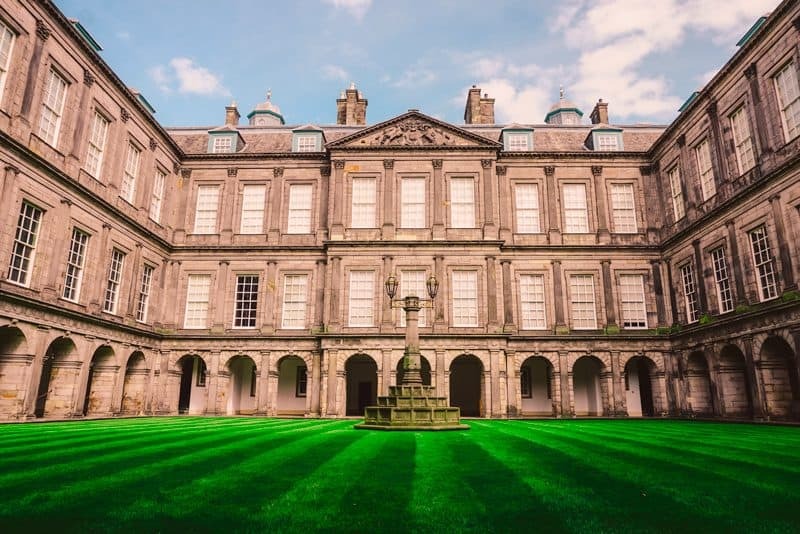 We took an audio tour of the palace and learned about its history since its construction in 1128 by David I.
Mary, Queen of Scots once lived here with husband, Lord Darnley. The supper chamber inside the palace was the site for the gruesome murder of David Rizzio, Queen Mary’s Private Secretary and suspected lover by Darnley. Darnley had an associate murder Rizzio in front of Queen Mary, stabbing him 57 times. Bonnie Prince Charlie is another royal figure who stayed at the palace after he seized Edinburgh in 1745. 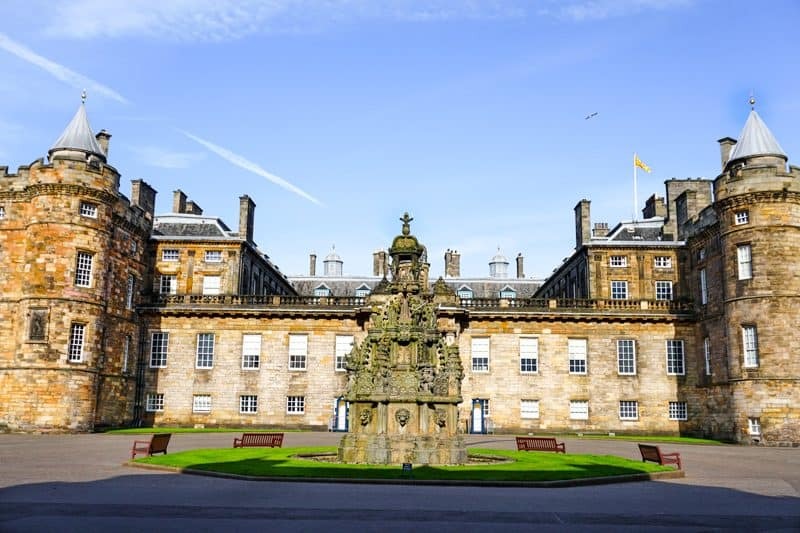 Queen Victoria would also often stay at Holyroodhouse and renovated the old royal apartments on the first floor. Queen Elizabeth II spends a week here in July every year, hosting a party in the palace gardens. Cost: £14 for adults; £8.10 ages 6-17; Under 5 free. 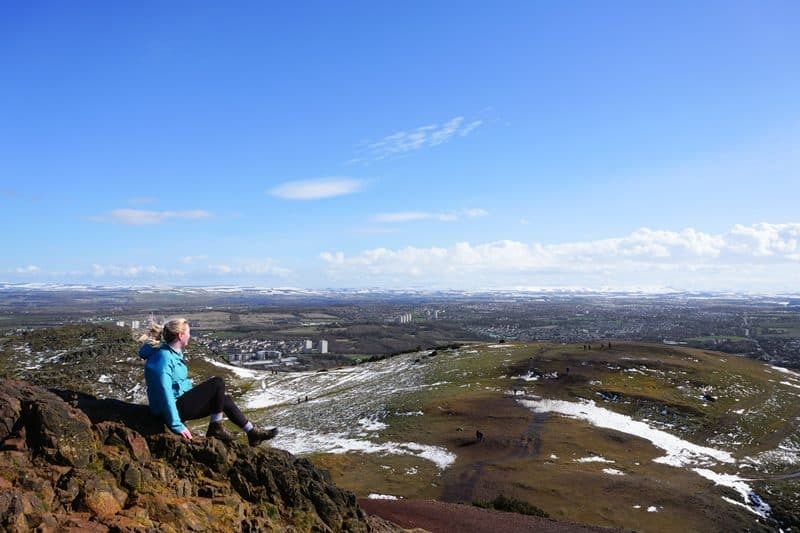 Hike to the top of Arthur’s Seat, an extinct volcano that offers stunning views of Edinburgh. The hike is rated easy/moderate, and takes 2-2.5 hours. Make sure you wear hiking boots or runners, as the terrain can be rough and rocky in parts. 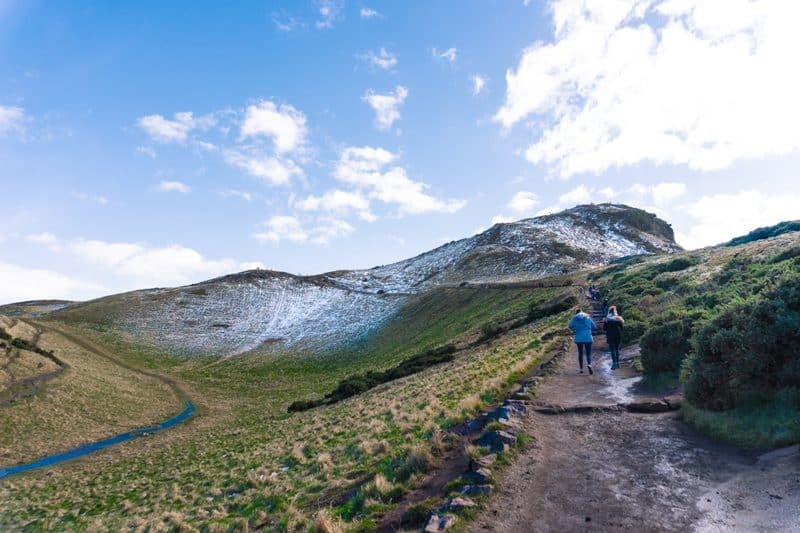 Arthur’s Seat, which is located in Holyrood Park, may have in fact been home to King Arthur’s Camelot. 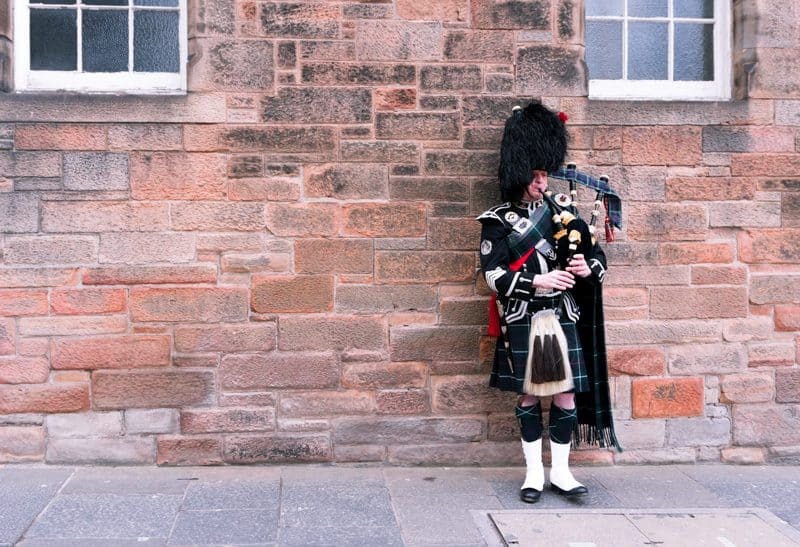 A visit to Edinburgh is not complete without walking the famous Royal Mile. Yes it’s a complete tourist thing to do, but after living close to the Mile for several months I still find it fascinating. The Royal Mile links Edinburgh Castle (at the western end) and the Palace of Holyrood (at the eastern end). There are souvenir shops aplenty, but it is also the location of Giles Cathedral, Deacon Brodie’s pub, the Heart of Midlothian (a heart made in the cobblestones that people spit on for good luck), and World’s End. If you look through the curtain of tourists carefully, you’ll find many tiny streets called ‘closes’ which are pretty fun to explore. 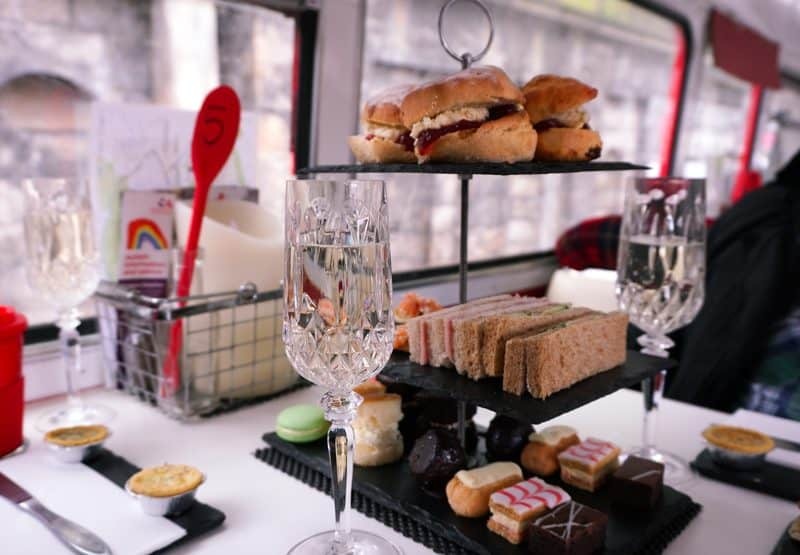 This is why I adore the Red Bus Bistro tours where you hop aboard a double decker bus and are served afternoon tea while taken on a tour of the city. And get this- the Red Bus Bistro has a licensed bar SO YOU CAN DRINK WINE. If this isn’t the best damn bus tour in Edinburgh, I’ll eat my hat. Going for a stroll along the Water of Leith Walkway to Dean Village is a great way to spend a sunny afternoon. 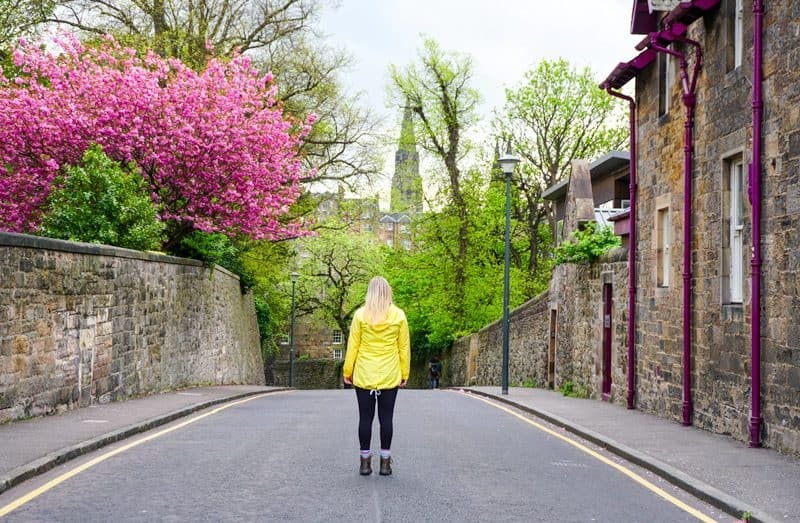 It’s a little hard to believe that the idyllic beauty of the Water of Leith walkway is situated so close to Edinburgh’s city centre (5 minutes from Princes Street!). The milling of water mills once took place in Dean Village, and the remains of this can still be seen today. If you’re into Scottish cemeteries, Dean Cemetery on Dean Path is eerie yet beautiful. Dean Gallery and the Scottish National Gallery of Modern Art are nearby and worth checking out as well. 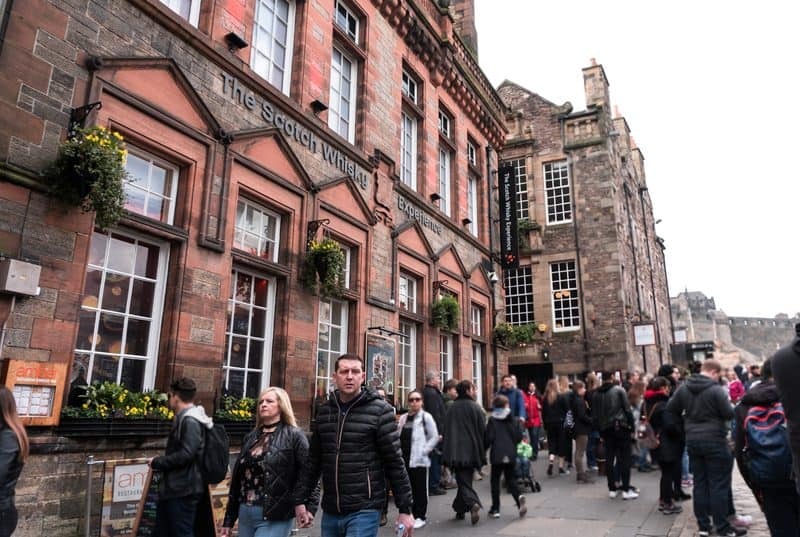 Have you tried any of these Edinburgh activities? I’d love to know how you found them, so comment below! Such a good article! I recently visited Endinburgh and I can’t wait to go back and knock some more of these off my list! 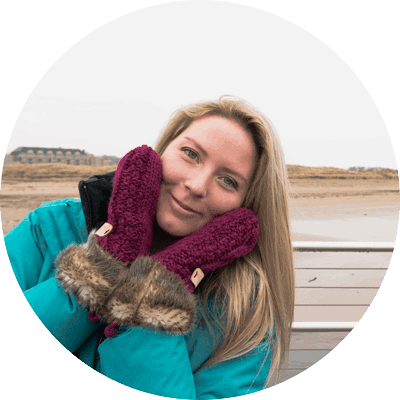 I love Edinburgh and your post just reminded of all the things I love about the place.